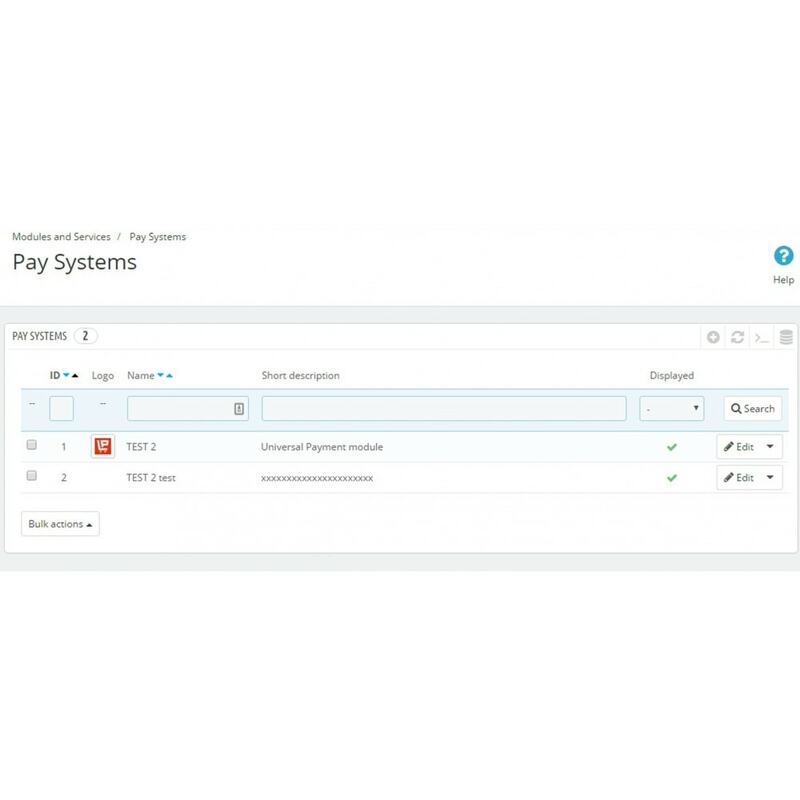 With the help of the Universal Payment Module you can create a new payment method is as simple as adding a new category in the catalog or a new page in the CMS. Order state - order state after creating. 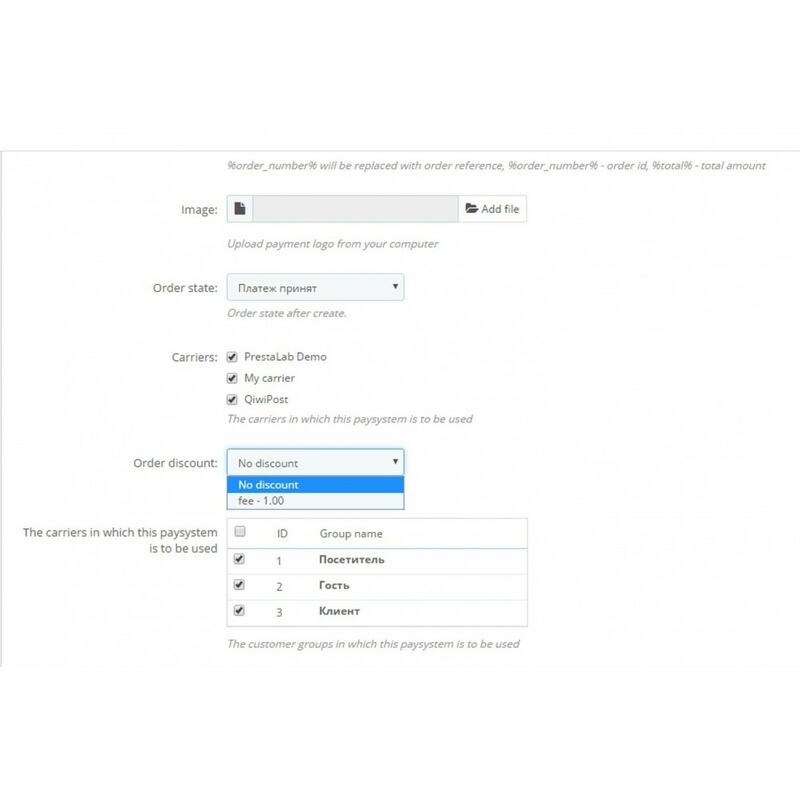 Carriers - select carriers, the choice of which will be shown this method of payment. Ideal for shop selling food products or other perishable. 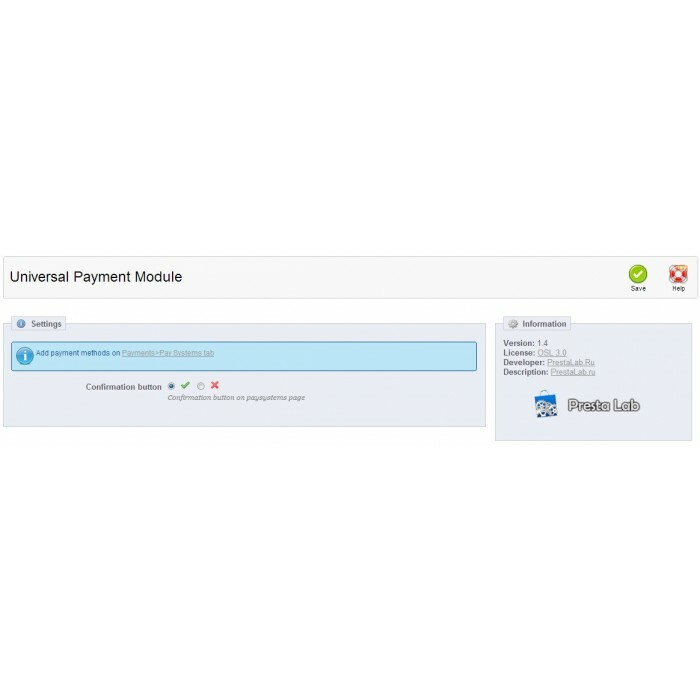 The module allows you to split your stock lots (eg 30 products in stock - 10 Lot 1, Lot 2 for 15, 5 for lot 3). This uses the FIFO (First In, First Out)! 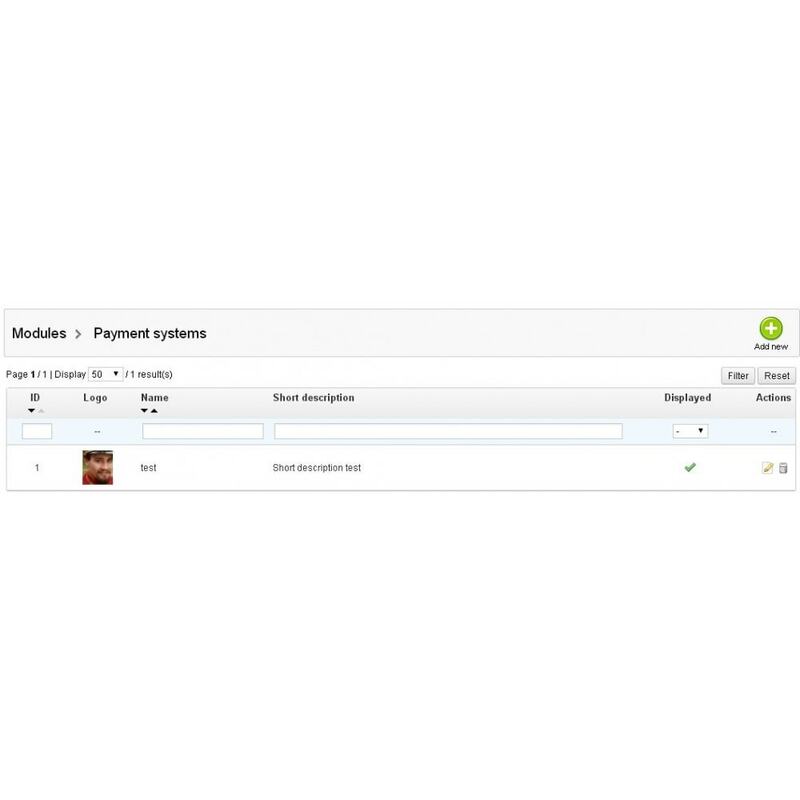 The module is ideal for creating simple payment methods that do not require interaction with external services. 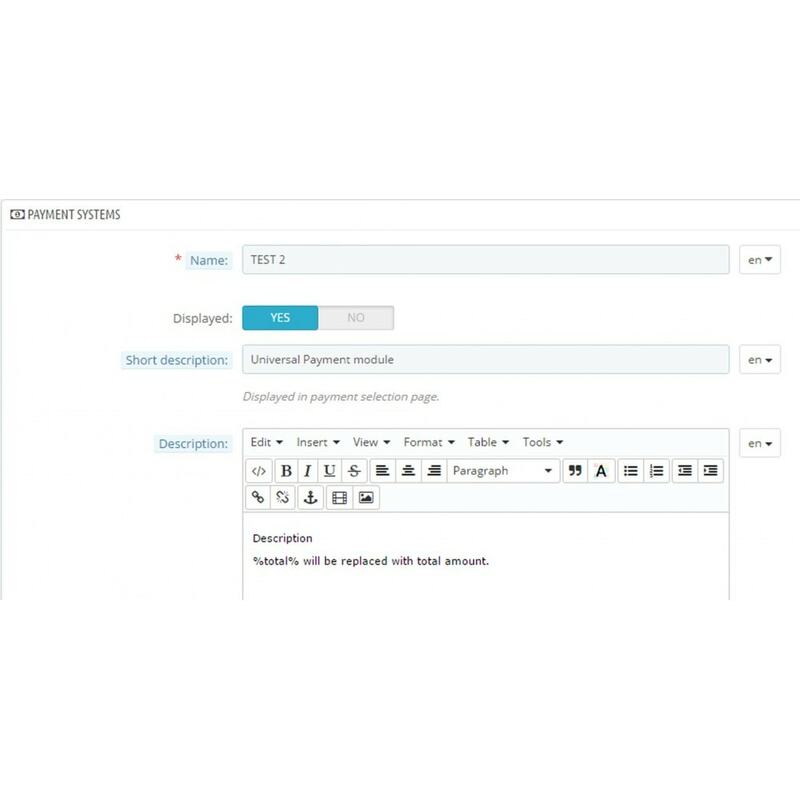 Module for accepting payments via RoboKassa system. Receive payments by plastic cards, in every e-currency, using mobile commerce services, E-invoicing via leading banks in Russia.